Are you starting to notice more hair in the drain? What about your ponytail feeling lighter? It’s a devastating feeling to notice the signs of thinning hair. By the time they are 40, up to 40% of women have visible hair loss. Women’s hair loss is often attributed to poor diet, stress, or changes in the weather. This sort of hair loss is temporary and fixable. This embarrassing problem is easy to fix when you catch it early. We are going to show you how to know if your hair is thinning and what to do about it. This is one of the most obvious ways how to tell if hair is thinning. Use a mirror or get a friend to help you. Start by running your fingers through your hair along your scalp. Feel for any spots where there is no hair growth. Next, use a mirror or have your friend look at your scalp for any bald patches. If you are in the beginning stages of thinning hair, it may be a thin spot and not bald. Losing a certain amount of hair every day is normal. You will see this when you brush or wash your hair. The average person loses 50 to 100 strands in a day. This is not noticeable when most people have 100,000 hair follicles on their head. Losing clumps of hair is one way how to tell if you are losing hair. This sort of thinning will happen if you run your fingers through your hair. If you are washing your hair and large clumps come away this is also a sign of thinning hair. Keep in mind though, if you have not brushed your washed your hair in a while, this is not thinning. Washing and brushing your hair removes the loose hair. If it has been a while since you have done these two things, the loose hair will build up. Then when you do wash or brush your hair, it knocks the hair loose. This buildup can look like a clump, but it is natural loss build up. You know how thick your ponytail feels. You know how many times you wrap the elastic around it. If your gathered hair feels smaller, or the elastic goes around more times, your hair may be thinning. Keep in mind how old the elastic is since they stretch out with use. Also, keep in mind if your hair is curly or straight. Curly hair will take up more space and feel thicker than straight hair. How can you tell if your hair is thinning? Look for visible scalp through your hair. You’ll notice it when you pull your hair back into a ponytail. When you pull your hair together against your head you notice spots where your scalp is visible. You’ll see this around the edge, especially the temples and face. With thinning hair comes the increased chance of sunburn. Your hair protects your scalp from the sun. When your hair thins, your scalp is now exposed to the sun. Since your scalp is not accustomed to sun exposure, it is more likely to burn. For those that have thick hair, you are familiar with the weight of your hair when you style it. If you are styling or washing it and it feels lighter, this could be a sign of thinning hair. Keep in mind that your hair changes as you age. Your individual hairs may have gotten thinner and not the number of hairs. This would result in lighter hair, but no noticeable increased loss of hair. Most women begin losing their hair on the top of their head. This is different from men who lose from the front of back. If you notice that your part is getting wider, this is a clear sign of hair loss. Make sure that it is your part widening and not the way you’ve styled your hair. An accurate way to tell is to compare your current part to a past picture. Look at a picture of yourself with the part from a year or two ago. Does your part look wider now? Do you style your hair a certain way, and its beginning to not look or feel the same? Thinning hair can make certain styles look less full. You may also notice in updos that there is less hair to style. Or it may take you less time to straighten your hair. As you sleep your pillow will create friction with your hair. It is normal to find a few hairs on your pillow. If you are finding large clumps or more than a couple, you are experiencing hair loss. Consider changing your pillowcase to a gentle fabric like satin. 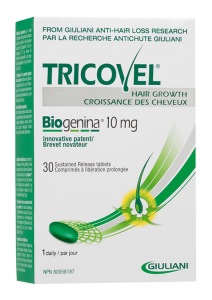 This won’t prevent hair loss but will be gentler on your weakened hair. Often temporary hair loss happens when the hair is brittle or weaker than normal. 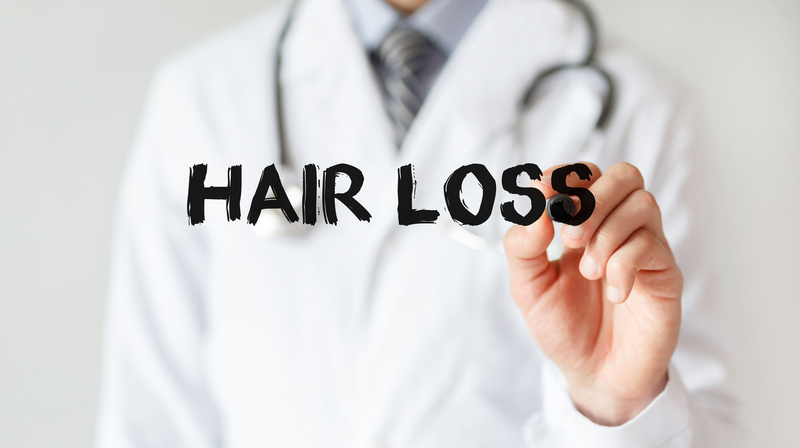 Sometimes hair loss happens if you are losing weight or not eating a proper nutritional diet. When your hair does not get the right amount of nutrition, it can also look dull or lifeless. If this is the reason for your hair loss, check your diet. Add protein and a supplement tablet to give your body the nutrients it needs for hair growth. The signs of thinning hair can be from stress, the weather, or an unbalanced diet. If you start to see one of these nine signs it is best to address it right away. Normal hair shedding is 100 strands. Hair loss is when its a lot more hair or lost in clumps. If you are starting to see more of your scalp or your scalp is getting sunburned, this is a sign of loss. How to tell if your hair is thinning is about knowing what your hair looks at feels like. Then you can notice the changes that take place.